The versatility of the RUBI products is for many of us one of most outstanding characteristics: the ECD diamond blade for cutting and grinding is, in reality, 2 blades in 1. 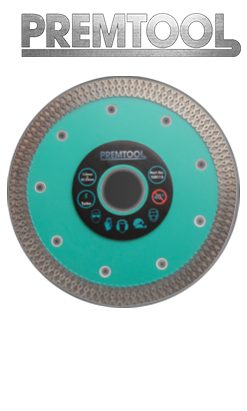 The ECD diamond blades for cutting and grinding allows us to work with natural stone, all types of ceramic tile and synthetic materials. Combining the quality of cutting a continuous rim blade and the speed andsmoothnessin the grinding of an electroplated blade. In addition, the ECD blade hasdiamond on both sides, which allows us to: make cuts at a higher speed and be able to take full advantage of the blade in roughing jobs, since we can turn the blade over when the outer side has reached its end. 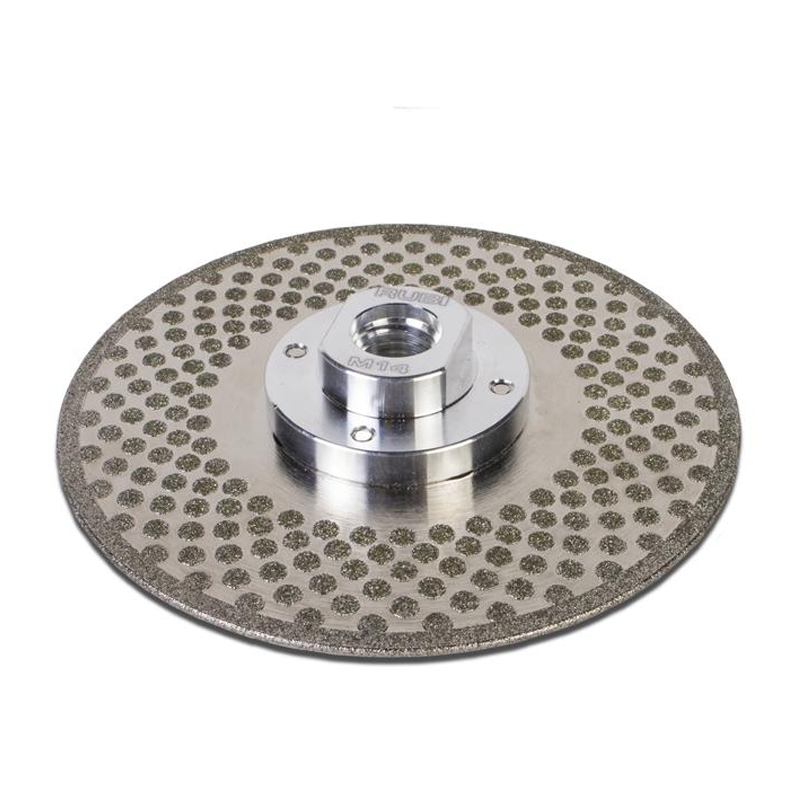 The ECD cutting and grinding diamond blade is perfect for adjusting or grinding cuts and, with the same tool, defining the finished edges. In this way, RUBI puts at the disposal of the specialized professionals, not only, a versatile and effective tool in their day to day work, but also allows them to obtain a better performance and make their work profitable. 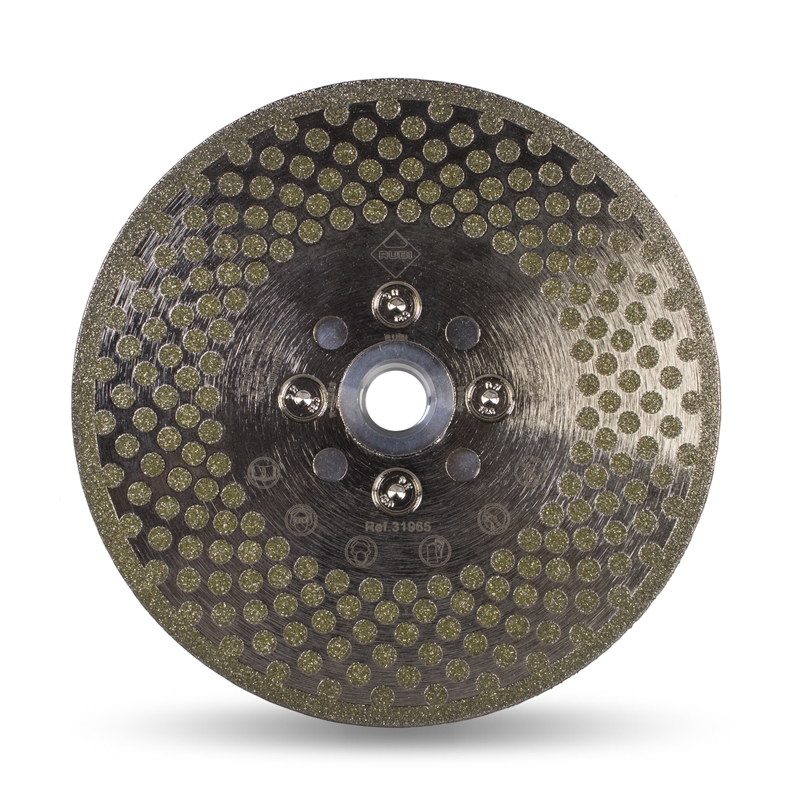 Diamond cutting and grinding blades allow us to cover precisely that need for versatility. Offering in a single product both the cutting function of all types of ceramic materials and natural stones, as well as being able to perform roughing or edge definition works. 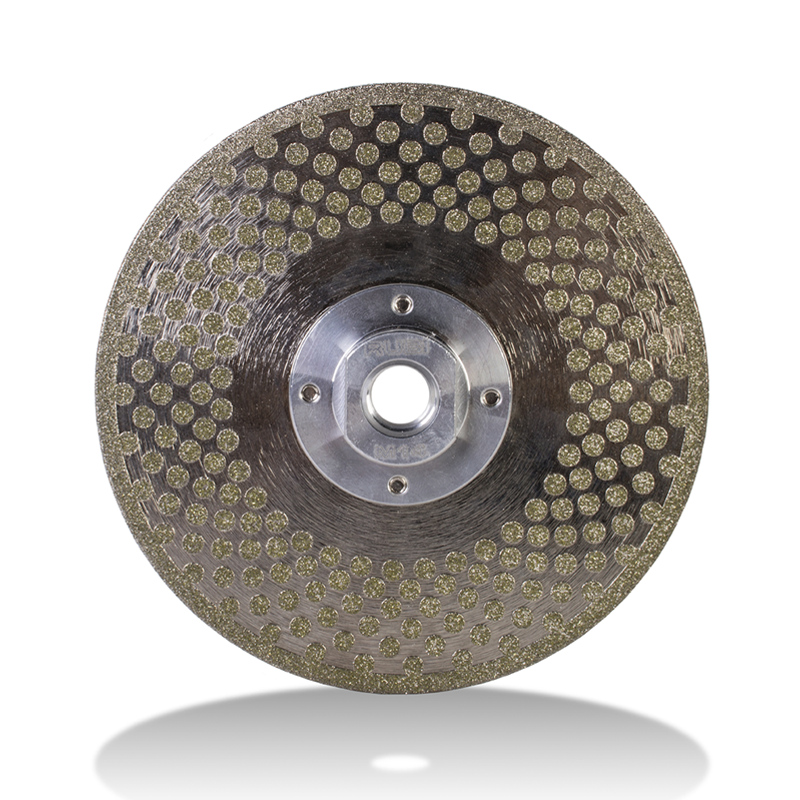 The use of electroplated diamond blades, such as the RUBI ECD, reduces the generation of vibrations during dry cutting with a grinder. Which makes it an excellent choice to work with all those materials with a high risk of breakage. Within its range of diamond blades, RUBI offers the professional two blade qualities: PRO and SUPERPRO. PRO blades offer the professional user the best relationship between performance and price. SUPERPRO blades are the best option for the most demanding jobs.